Here we go again. The image below claims to show a Gemini IV image from space – and an office reflected in the astronaut’s visor. 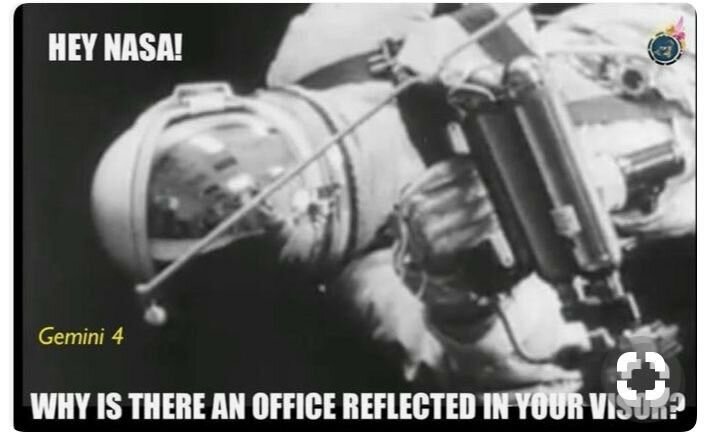 Meaning the famous spacewalk must have been made in a studio! Right? The image is a real still image from a video, but it was not shot during the Gemini 4 extravehicular activity in space. 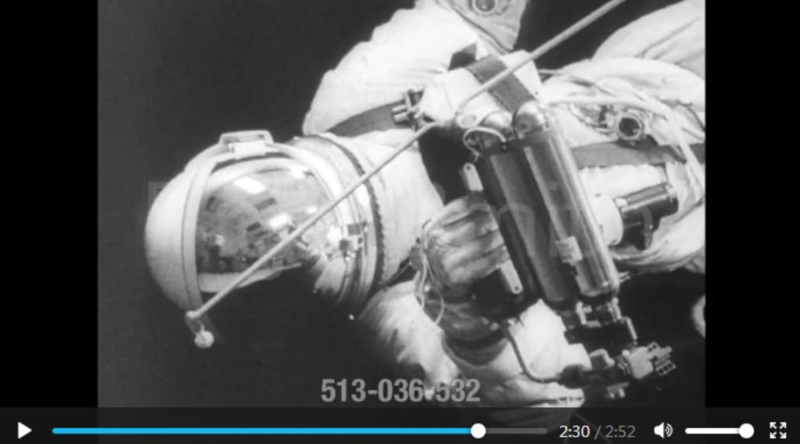 @UfoOfInterest found out that the footage shows Major Edward White practicing for the spacewalk. It is just a pre-flight test video. Gemini V spacewalk did happen in June 1965. Really. It was not staged in studio. Check out my earlier post about this topic. Thanks to @FakeAstroPix for the heads up! Thank you for everything you post here on this blog. I’m actually sick and tired of everyone thinking NASA is a fake. Keep up the great work!